Pervious concrete is concrete that dries porous. The sieve-like effect of pervious concrete allows water, sand and clay to seep into the ground below. An effect of mix ratios and finishing techniques, the purpose of the pervious concrete is to allow water to seep into the ground and replenish the water table, something ordinary concrete and asphalt do not do. Pervious concrete is used primarily as an asphalt replacement, but it can also be used for sidewalks, the landscaping of street gutters and as the feed to a French drain. The components of pervious concrete are no different than those of ordinary concrete. It is the composition — the mix ratios and size of the elements — that differ. 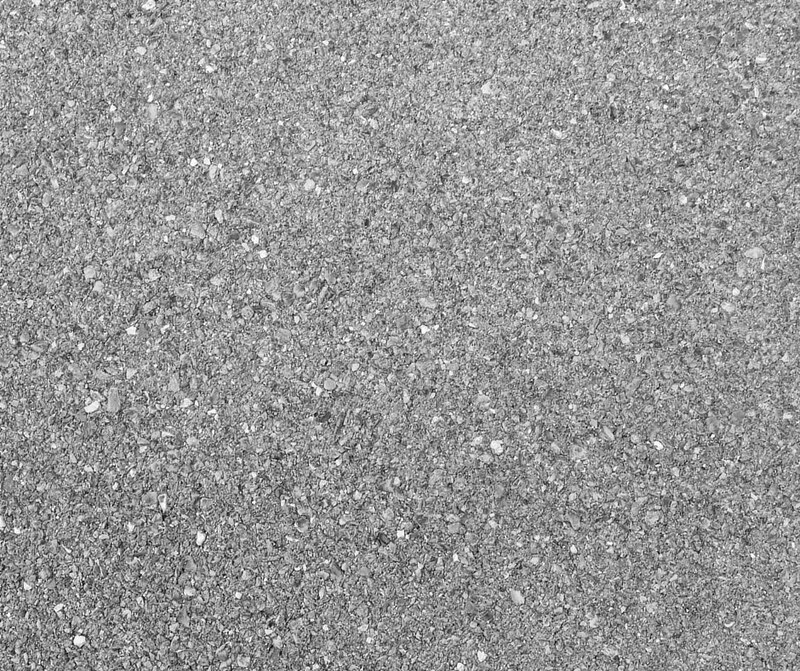 Unlike a standard concrete mix ratio of four parts aggregate, two parts sand and one part concrete (4-2-1), there is very little to no sand in a pervious concrete mix. With respect to the aggregate, size uniformity is critical. Ideally, the aggregate for pervious concrete is between 3/8 and 3/4-inch. Smaller aggregate creates a non-porous blend. Cement cannot adequately adhere rock larger 3/4-inch. Pervious concrete with rock larger than 3/4-inch breaks apart — “ravels” — under pressure. The slump, the water-to-cement ratio, is the largest factor in the setup of pervious concrete. If the mud is too wet, cream will develop, it will sink to the bottom of the concrete and fill the honeycomb between the rocks and prevent water from passing through and into the ground. It is critical that the concrete is poured as dry as possible. The ideal water-to-cement ratio is far less than the normal 42% used to hydrate cement in a normal concrete job. For pervious concrete, for every pound (or whatever weight standard is being used) of cementitious material, only between a quarter to a third of a pound of water is used. In other words, pervious concrete is poured extremely dry and with very little sand. In relation to a 4-2-1 concrete mix, pervious concrete is severely unworkable. In addition to the fact that there is little to no sand in the mix, which means it is difficult to get the rocks to roll over one another when working them, the low water content means pervious concrete sets and begins curing in a remarkably short period of time. In fact, if a pervious mix ratio is correct, the concrete should begin curing under eight minutes. Because working with pervious concrete is so difficult and there is so little time to spare preparation is the key. If mixing pervious concrete with a drum mixer, allow the aggregate and whatever small amount of sand that might be included tumble dry with the cement five or ten revolutions prior to adding the water. Only add a third of the water total at a time to allow the mixer to adequately saturate the cement. Once the last of the water has been added, allow it to mix for two minutes, then move the concrete into place and begin working it immediately. Unlike a 4-2-1 concrete mix, the distribution, leveling and finishing of the concrete must happen in less than 10 minutes. In other words, the three steps are one after another. As such, while the first batch is being finished, a second should be in the mixer hydrating. Finishing pervious concrete requires a hand or power roller screed, a pizza-cutter roller screed for joints and curing blankets to ensure that the concrete sets up quickly. Rakes and shovels are adequate for distribution and leveling, but finishing pervious concrete requires a minimum of two specialized screeds. Blankets are optional if the day is sufficiently hot and sunny, but inclement or cold weather makes curing blankets a necessity. What is the Importance of a Reinforced Concrete Slab?